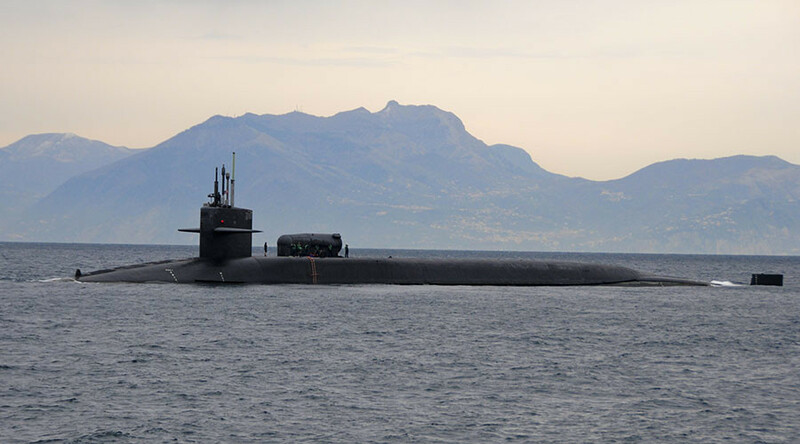 British sailors have fired warning shots at a Spanish Guardia Civil vessel which they claim was hassling the 560-ft-long USS Florida nuclear submarine docking in the British overseas territory of Gibraltar. The incident, which occurred in April but was only reported on Thursday, saw the Royal Navy deploy an attack vessel, HMS Sabre, which then shot flares across the bow of the 20-ton Spanish vessel Rio Cedena. “The US Navy guarantees the security of the Med Sea for all of NATO and ought to be able to damn well visit any port it wants, whether it’s Gibraltar or not,” the source raged. Though Britain considers Gibraltar an overseas territory under the 1713 Treaty of Utrecht, Spain has never relinquished its claim. The Mediterranean island, known as ‘the Rock’, is heavily militarized with its own “colonial” regiment forming part of the British Army and a specialized artillery unit, as well as a strong navy presence. In April 2015, amid fears the Scottish National Party (SNP) may force Trident nuclear weapons out of Scotland, Gibraltar was floated as a possible alternative venue. Dr Nick Ritchie, who lectures in international security at the University of York, told the Express newspaper at the time: “If the [MoD] is exploring other options, it shows admirable planning and foresight." “Choosing Gibraltar would avoid the nimbyism [not in my backyard] question,” he added.